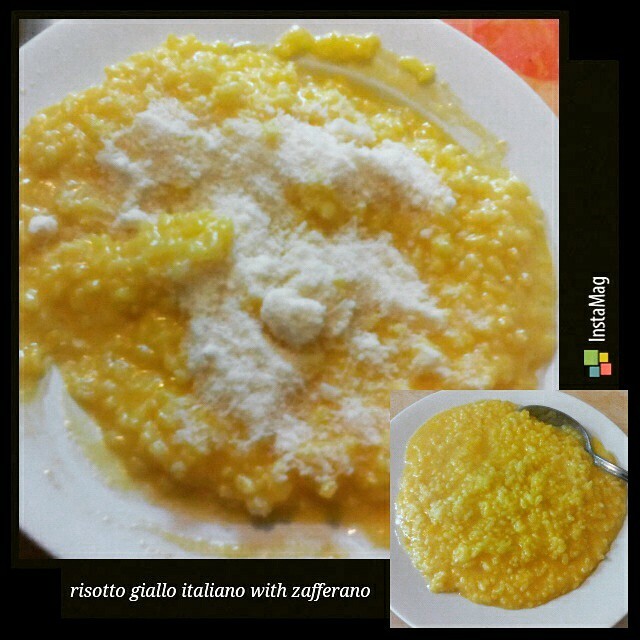 When I first came to Italy, especially in the province of Milan, I directly found Italian yellow rice since this is one of the famous dishes from Milan. They call it Risotto Milanese or Milan rice dish. The color of the rice dish is yellow, that I thought it was possibly made of turmeric, as in Indonesia, there is also the rice dish called turmeric rice or (Indonesian) yellow rice that’s made of turmeric (which is very tasty and healthy). On the other hand, the Italian yellow rice (Risotto Giallo Italiano) is made of something else that contributes to its yellow color, which is called saffron or zafferano in Italian. And differently, risotto giallo italiano doesn’t have any side dishes to complete the meal as everything is focused on the ingredients used to cook the rice dish. Other thing that makes Italian yellow rice different from Indonesian yellow rice is that the Italian one is cooked similar to rice porridge (not dried). Meanwhile, the Indonesian yellow rice uses the dried rice type like Basmati or other Asian rice types. Italian yellow rice, other than it is made of saffron or zafferano for its yellow colour, it’s also cooked with other ingredients such as butter, parmesan cheese, chicken broth, onion, white wine and salt of course. And that’s it. It doesn’t need additional side dishes like vegetables or meat dishes. Previous Como, Como, Como … Why Do I Never Get Bored of You? Next Favorite Italian Food? I have them!